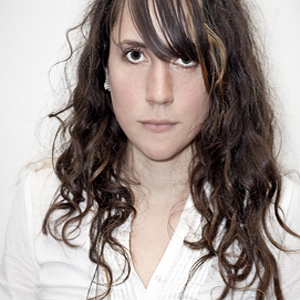 During the last decade, Aimée Argote has had more bands called Des Ark than she has albums under that name. She’s howled and jerked in sweaty houses and rock clubs, backed by a drummer, another drummer, yet another drummer and a second guitarist, and a small symphony. She’s brought big crowds to a whisper with nothing but her voice and a banjo or a tiny guitar that kept slipping out of tune. But, a stack of radio sessions aside, Des Ark only has one LP, 2005′s Loose Lips Sink Ships, and a collaborative split with Ben Davis, 2007′s Battle of the Beards, to call its own. Don’t Rock the Boat, Sink the Fucker—the band’s brilliant second LP—makes up for the time lag and the lost members. The experiment took its time. Sink is a record of extremes—heavy and roiling during “Ashley’s Song,” twinkling and tender during “Howard’s Hour.” As such, Argote couldn’t do everything in one place or one room. She began recording the quiet tunes in Richmond, VA with the help of Jonathan Fuller (Engine Down, Denali) in 2007, finishing just last year. The more aggressive numbers were recorded last May in trio form with guitarist Noah Howard and drummer Ashley Arnwine in Salem, Mass., by Converge guitarist Kurt Ballou. The multiple sessions afforded Argote the chance to think through the material more than ever before.